Researchers at IBM Corp. have developed a miniature sensor that can glean insights into people’s health from their fingernails. The project, which the company announced today, could add momentum to growing adoption of wearable technology in the healthcare field. Apple Inc. also moved to address this burgeoning opportunity recently by adding an electrocardiogram function to the Apple Watch 4. But whereas the smartwatch is limited to tracking heart activity, IBM’s new sensor has a potentially far broader range of applications. The device (pictured) is comprised of two components. The first is a compact computer that sits atop a user’s finger, while the other is an array of strain gauges meant to be attached to the fingernail. The strain gauges record the subtle ways the fingernail moves and changes its shape as the wearer uses their hands. Specifically, these fingernail changes can be analyzed to measure a person’s grip strength. Grip strength, in turn, is a metric useful for assessing a broad spectrum of medical conditions. One use case that IBM sees for the sensor is monitoring the health of Parkinson’s patients. 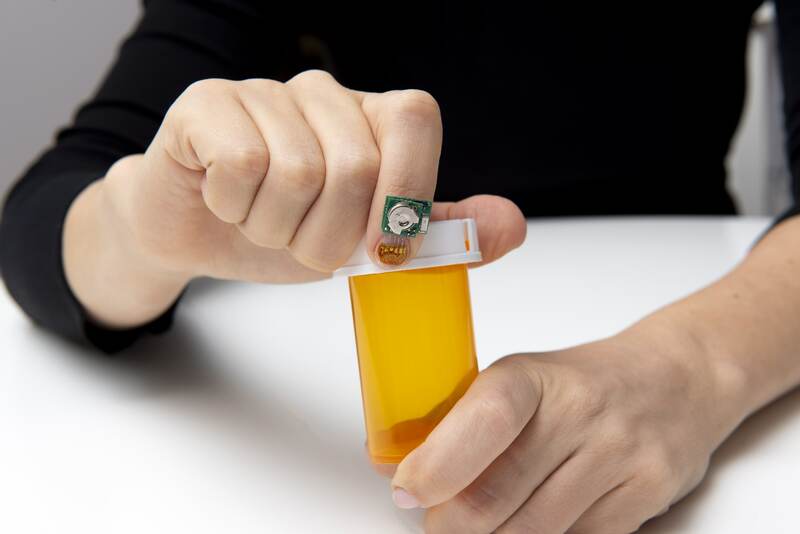 The strain gauges can identify fluctuations in the frequency and intensity of hand tremors, data that could potentially help doctors make better care decisions. Grip strength has also proven to be valuable for evaluating the progression of diseases such as heart disease, as well as for detecting psychological stress. The current iteration of the sensor is designed to be used with a smartwatch. The smartwatch processes the data using artificial intelligence algorithms that IBM has developed specifically for the project. According to the company, its AI can not only identify abnormal movements but also distinguish between different activities. The software is accurate enough to tell, among other things, if the user is writing and even determine when they’re drawing numerical digits. Heisig and Sakuma said that granularity could potentially enable the sensor to double as a communications aid for people with disabilities.